On the heels of their 2016 release “The Very Next Thing” featuring chart topping songs such as “One Step Away,” “Oh My Soul” and “God of all My Days,” Casting Crowns is set to deliver a brand-new album full of songs that deliver timely messages of hope that will challenge the listener to look beyond themselves and to the One whose name will last forever. 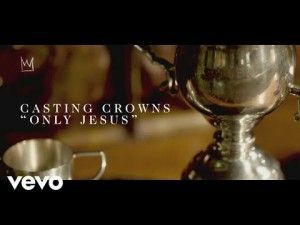 As one of the most popular bands in the Christian Music scene, Casting Crowns need very little introduction. They have been producing music for the body of Christ since 1999, and have won numerous awards in that time. They have a consistent line-up with very few changes over the years, but their last album seemed to be missing something. I don't know if Mark Hall read my review of "The Very Next Thing" where I finished my review by saying "I still love Casting Crowns but they themselves seem a little unsure of what direction they need to go in and what message or challenge they should be bringing to the church." 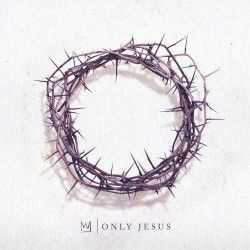 It's been 2 years since that release and the group are back with their latest album, that even from the title seems to be a little sharper, it's "Only Jesus". The focus seems to be back on the personal responsibility that we all share for reaching out to the lost, something that has always been a hallmark of Mark Hall's writing. The piano and the choral "oh-oh" starts off "The Bridge" before Mark's clear and familiar vocals kick in. This reminds us that in this dark world when we don't know how, or what, to pray we can also still reach out to people. Jesus is a bridge to God, built with the cross, and we need to be a bridge to the people who surround us each day. The next couple of tracks are the core of this album. "Nobody" features Matthew West both as an artist and co-writer of this track. We can easily write ourselves off as a nobody, but God has chosen us and wants to use us in His plan. There is definitely a tongue-in-cheek feel to the way that this is written as it recounts heroes of the Bible and their flaws, to show that God can use us, the same way. This has the right balance of humour and a very catchy chorus that will have you humming or singing this track long after it has finished playing. 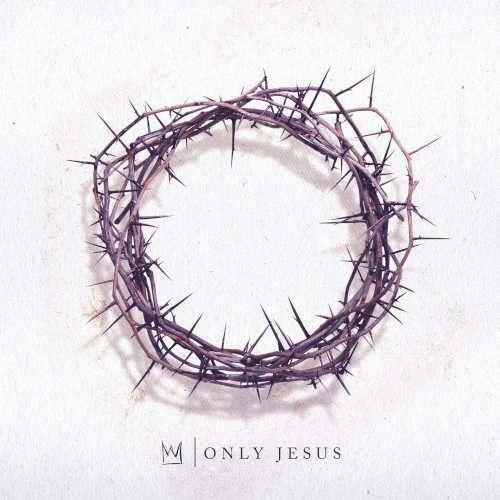 Elements of this song feed into the title track, "Only Jesus" which sees another co-write with Matthew West. This time it's about legacy, clearly encouraging us and others that our lives aren't really about the stuff we gather or awards we win. It doesn't matter if people forget who we are, our legacy should be about people being pointed to Jesus Christ. "In The Hands of the Potter" takes the Biblical image of God as the potter and us being the clay being shaped by the master craftsman. The writing through this album is particularly clever. The next track is about running away from God, someone who perhaps once believed as a child, but even though that person is now running away there is nowhere that they can go that God's love can't reach through. "Even When You Are Running" may speak to people in that situation, but it will also reassure those who have watched friends and loved-ones turn away from their faith, God can still reach those people. Remember my comments about being unsure what challenge that should bring to the church? Well, they definitely bring one in "One Awkward Moment"! In an echo of songs from earlier albums, like "If We Are The Body" and "Does Anybody Hear Her?" this track tells the story of a person who wants someone to talk to. This song isn't really about her, it's about our reaction, will we speak and offer hope, offer Jesus? It's a very real song because we all-too-easily find excuses not to get involved, but God wants to use you in her life, but also use her in yours to help you see the gospel come to life. "Awaken Me" has a different sound opening up with violins before the vocals come in. This song is about how many of us are half asleep in our world, seeing the people around us but ignoring the spiritual need. This is a plea to wake us, as the church, up to His mission. Leaving the music behind the vocals finish the song with the plea of the title, "Awaken Me". "One More Song", asks if all the songs have been sung? This becomes a declaration that we will continue to sing one more song to Jesus, encouraging others to come and sing and worship too. There is another challenge to the church that comes along in "Start Right Here". Mark doesn't really pull his punches in this track looking at the comfort of our churches and the need to get beyond "our coffee in the lobby", "worship on a screen", "a rockstar preacher" and "blessings in our pockets". He says that if we want to see a change in the world out there, then we need to start right here and now with us making a change. The church should not be a social club to look on people, we are meant to be the body of Christ. The final verse of the song concentrates on 2 Chronicles 7 v 14 reminding us of the need to get on our knees and humble ourselves and pray, seeking God, then He promises to forgive our sins and heal the land. It is often hard to put into words the actions of the Spirit of God inside of us and to describe His nature. "The Change In Me" does a great job of this, although some of the descriptions seem at odds with each other. Megan Garrett takes the lead on this track which describes the Holy Spirit as a "gentleman", "a wrecking ball", "a whispering", a "light ahead", "a flame" and a "constant friend". Through these different descriptive elements, this song does an excellent job of showing how the Spirit changes us. It's such a different song in both style and lyrical content that this really grabbed my attention. It's great to have such an in-depth view of this fundamental part of our faith, that we often struggle to truly understand, conveyed in such a beautiful way. "Love Moved First" could be the testimonial of many Christians which talks about the love and grace that God extends to us when we realise we are at the very bottom. This track echoes the words from the previous track, showing that God became the change in me, and now we live to tell the story to others. It isn't about anything that we did, it's about God's love that moved first. The last track on the album is a retelling of Psalm 23. "Home" paraphrases the familiar words emphasising that we can rest at home in the house of God. Sonically this album doesn't vary a huge amount from previous releases by Casting Crowns. Mark Hall takes the lead on most of the tracks, apart from "The Change In Me", and this is kind of what we have come to expect over the years. This album seems to have much stronger songwriting throughout and brings back the challenge of representing our faith through our words and our actions. There is most definitely a personal challenge to share our faith, but also a corporate challenge for the churches as organisations to shake ourselves out of the "social club" mentality and remind us that we need to be on the forefront of changing our nations by humbling ourselves, praying and seeking God. There are no tracks here that just feel like fillers, there is a point and purpose to each one, whether it's praise, challenge or encouragement, or even a call to the prodigal to return. Casting Crown's have rescued their reputation with this album.